I am sorry that I haven't been blogging for some time, university was pretty hectic and I never got the chance to do anything on the blog. However, I have been posting some photographs on the Facebook page Photo Diary. 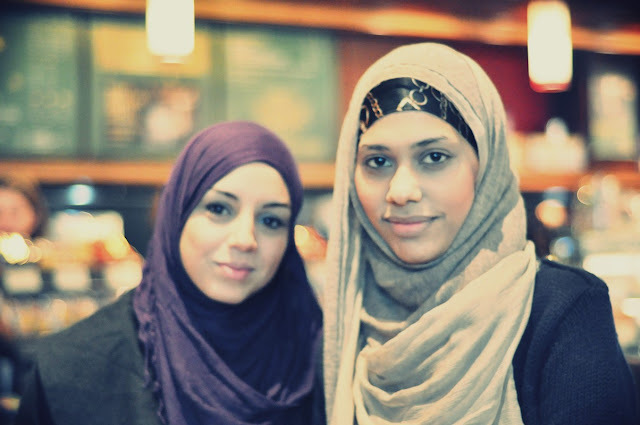 I had the pleasure of meeting the lovely Mirriam Kaissi for a coffee. 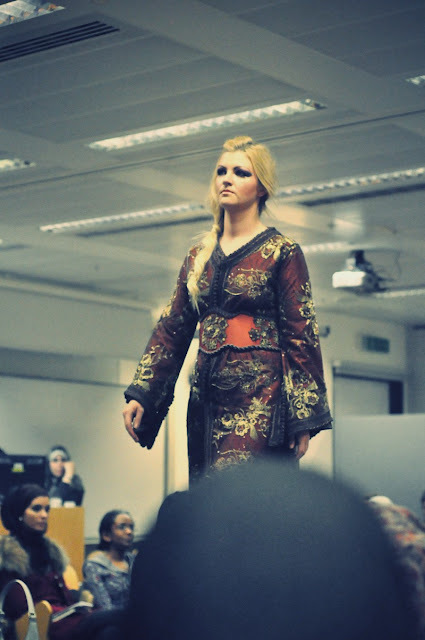 She is a young and talented fashion designer, who is flourishing her own label Moroccan Kafrans. She designed her first Kaftan in Morocco, it just meant to be a Kaftan for herself with no intention of designing kaftans as a career. People started to admire her design and requested them, this is where her sister-in-law suggested that Mirriam should consider designing as a career, as she has so much talent for it. This is where everything started to build up and Mirriam is taking very realistic steps to make the business run smooth and flourish. At the moment, the Kaftans are only rental (size range S,M and L) and price range is £45-£65). Her designs are unique and elegant. 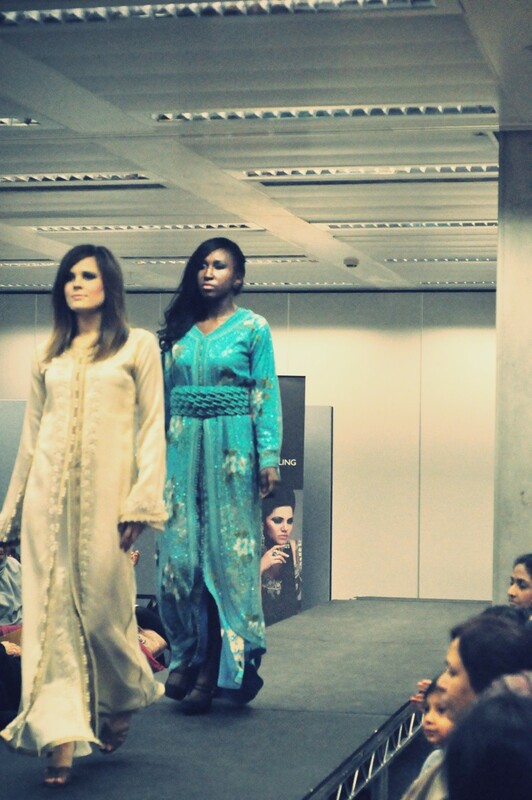 The small collection includes bridal Kaftans and simple Kaftans. There are excellent and exquisite details on the Kaftans. The embroidery has been carefully done, using the right thread and material. The buttons are handmade and all Kaftans are made in Morocco, because of the specific sewing and making process each Kaftan undergoes, it can't be done anywhere else. Mirriam Kaissi is not only providing modest and fashionable Kaftans to sisters in London, she is also helping workers in Morocco make a living, by making the buttons, sewing the embroidery, and the belts (who are made out of woven silk). If you suggest the Moroccan Kaftans by Mirriam Kaissi page on Facebook to your friends and they could be the winner of the brown Kaftan pictured above.